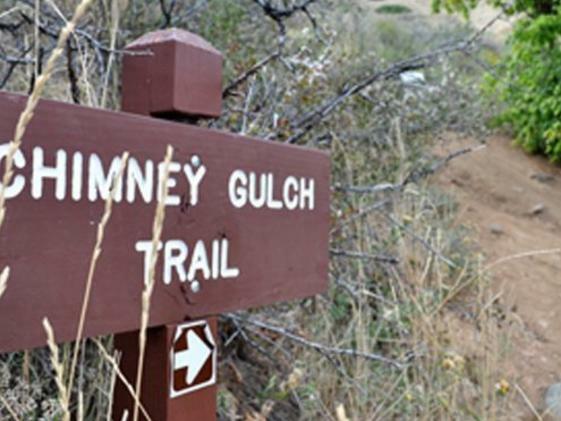 Chimney Gulch Trail is in the Jefferson County trail system and is connected to the Windy Saddle Trail and Park. The trail climbs to 2,000 feet in 2.5 miles from Highway 6 to the summit at Lookout Mountain Nature Center. 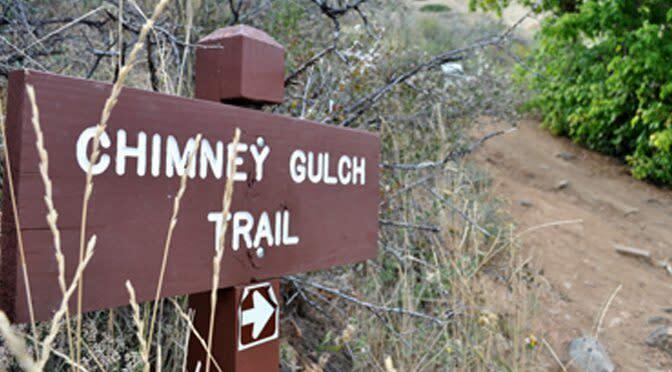 Access the trail via Lookout Mountain Road west of Highway 6 and roadside parking on Highway 6 eastbound from State Highway 58.